Ice cream is powerful stuff. It brings people together, it cools overheated bodies and anyone with a cranky three-year-old can attest to the powerful mood altering effects of even a single scoop. 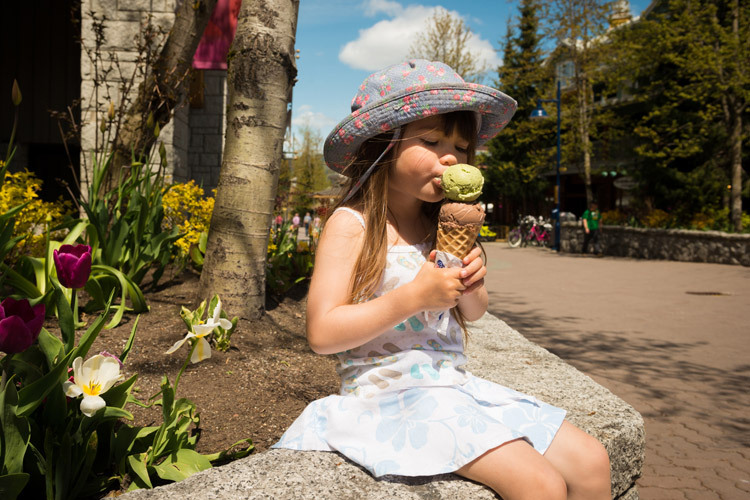 Basically, Ice cream is one of the best parts of summer and Whistler has no shortage of ice cream parlours to satisfy almost any craving. Traditional ice cream is made with cream while gelato is made with milk, which makes it a bit healthier i guess but worrying about calories in an ice cream shop is kind of missing the point. Sorbet is dairy free, generally made with sweetened water or puréed fruit, and frozen yogurt is just that, frozen yogurt. With so many options available there’s only one thing to do this summer— try ’em all. Here’s a list of Whistler’s best ice cream joints. 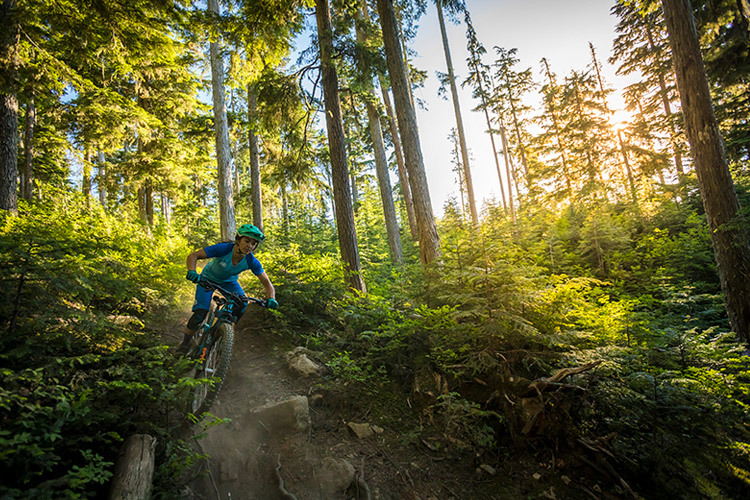 Whistler’s oldest ice cream spot is also the closest one to the bike park. The Rocky Mountain Chocolate Factory offers more than 30 flavours of ice cream, sorbet and frozen yogurt. It’s all made just down the road in Vancouver and the waffle cones are dipped in chocolate and/or candy sprinkles on-site. Staff Favourite — Steph, a born-and-raised Whistler local, recommends a mix of Coconut ice cream and Lemon sorbet. It’s fantastic. Centrally located in the main Village and featuring 15-20 flavours at any given time, Bocca Gelato makes their gelato and cones in-house from as many locally sourced ingredients as possible. This place is the Ferrari of gelaterias (Open summer only). 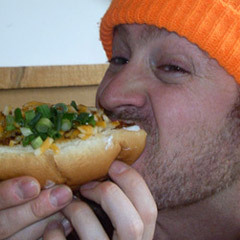 Staff Favourite — Lee, a longtime loc who truly appreciates the finer aspects of Whistler life, says the Peanut Butter Chocolate is always a good bet. Much more than just an ice cream shop Cows originated on the other side of the country on Prince Edward Island. Using and old family recipe and a penchant for puns, Cows has now successfully branched out across the country. They have 32 varieties out at all times and this really is the place to try new things like Birthday Cake flavour or Moo-Henry. Cows uses a premium butterfat cream for their ice cream and mixes it slowly, making for richer, thicker, more flavourful scoops. Waffle cones are made in-house and chocolate dipped if you like it that way. On hot summer days Cows will serve up over 2000 scoops of cool creamy goodness. Staff Favourite — Emma recommends Maui-Cowie, a toffee/chocolate chip/vanilla mixture reminiscent of a Skor candy bar. Rogers’ doesn’t sell ice cream by the scoop but their ice cream bars are decadently awesome. Made at the infamous Rogers’ headquarters in Victoria BC there are five bar flavours to choose from, each with a creamy vanilla centre. And you can taste the difference. While it’s available in many of Whistler’s restaurants and all the grocery stores the best place to try Lucia from the source at their stands on either side of the Peak to Peak gondola at the Whistler Farmer’s Markets that happen Wednesday and Sunday afternoons throughout the summer at the base of Blackcomb. Marketplace, or Village North, is actually a bit of an ice cream wasteland but if you’re stuck there is a Dairy Queen by the playground or McDonald’s also has those dipped soft serve cones. 7-Eleven sells ice cream bars but really their summer specialty is the Slurpee. 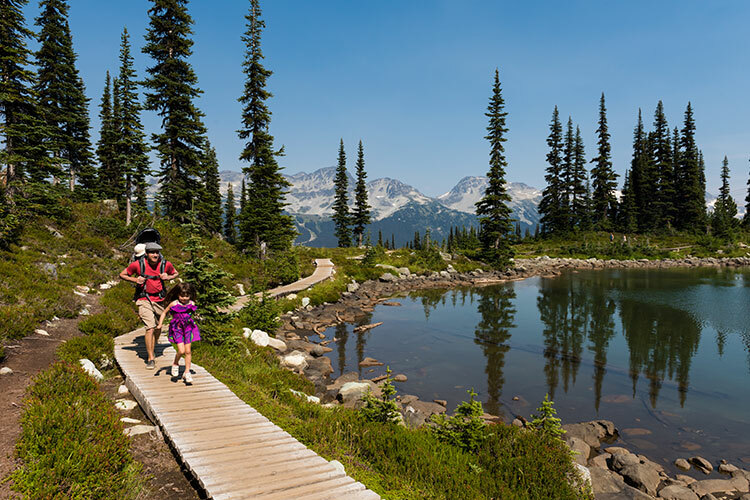 While most of Whistler’s ice cream spots seem to be centered around the Village, there is a roving ice cream truck selling pre-made treats at our various beaches, lakes and parks. Unfortunately, ice cream lovers in Whistler Creekside are without any places to obtain a fresh scoop but the Husky gas station has a stocked freezer and a great selection of Slushies. 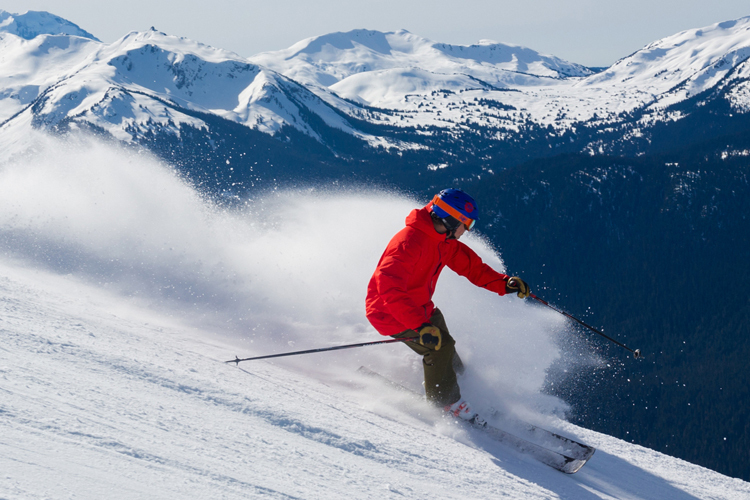 Connoisseurs of frozen delights can find some really high-end treats in some of Whistler’s fine-dining establishments. The handmade Peanut Butter Ice Cream Bar at Araxi is garnished with flakes of real gold (and deservedly so, it’s amazing) while the crew at The Bearfoot Bistro will whip up fresh ice cream right at your table (using liquid nitrogen!!) The Four Seasons has teamed up with Lucia Gelato to offer liquor-infused gelato sundaes (on special on Sundays) and if you want to get really serious, see if the Rim Rock Cafe chefs will throw together an Alaskan Bake, which is like some kind of crazy ice cream meringue pie that looks and sounds almost too delicious to be true. 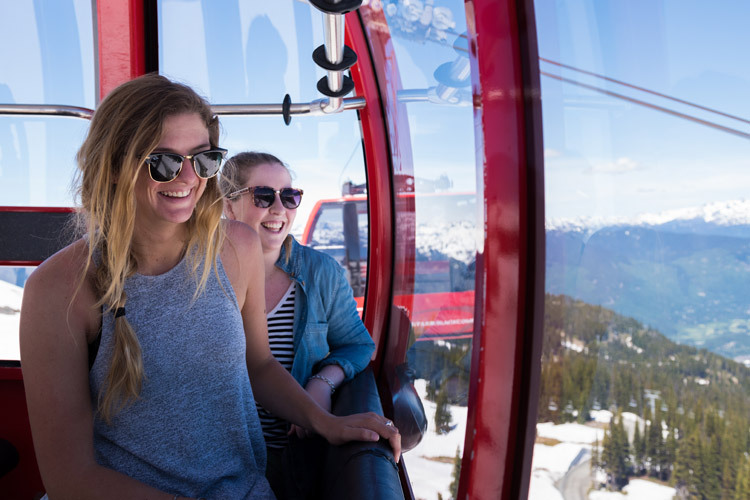 For all the varieties of ice cream available, Whistler (thankfully) offers even more ways to burn off all those creamy, sweet calories. So get outside, have fun in the sun, and treat someone you love to a scoop or two.